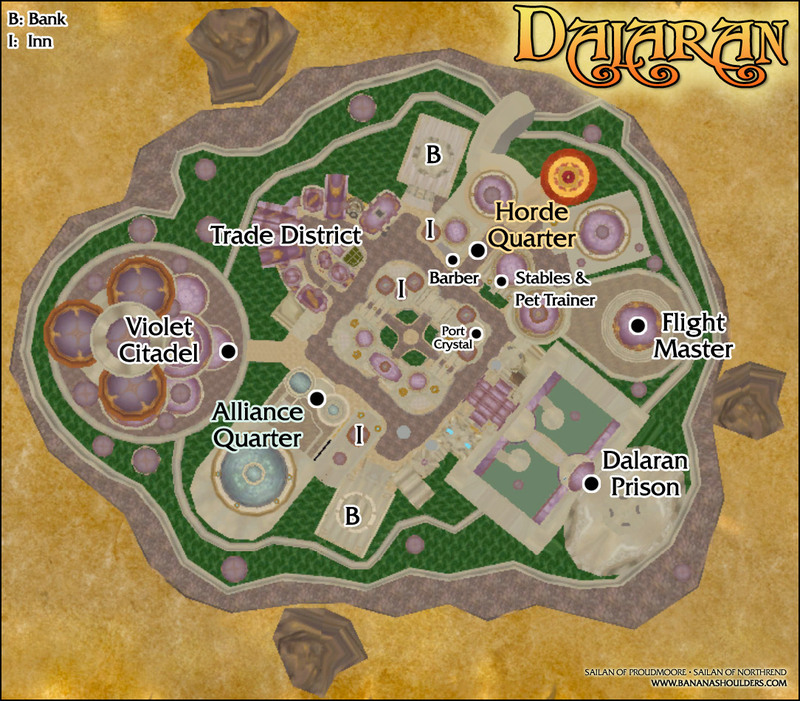 Dalaran: find your way around! Note: This post contains spoilers for Wrath of the Lich King. Dalaran has recently been implemented into the Wrath of the Lich King beta build, and it’s hard to find your way around at first – especially since the in-game maps and minimap aren’t completed yet. 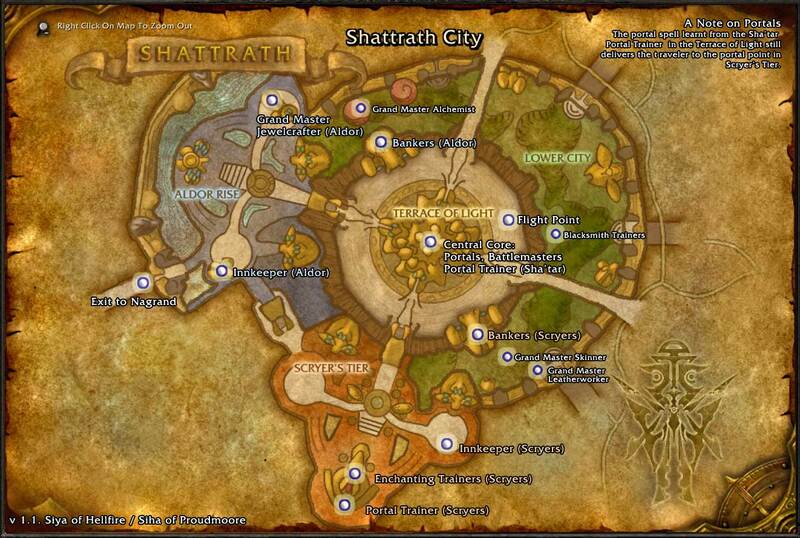 Therefore, I’ve done as I did for Shattrath in the TBC beta, I’ve made an annotated map of Dalaran. Hope it’s helpful! I’ll do a new version once Dalaran’s map is finished. If anyone neeeded any more evidence that Blizzard devs play Horde, check the relationship of the flight point to the Horde quarter and the Alliance quarter. Incoming beta testers to look at your map!